You may have heard about Free TV, or Over-the-Air TV lately. Everyone is talking about it from Clark Howard or "Smart how to save money" websites to Billboards and Radio Stations. Free TV is the best way to get your favorite channels with no monthly bill. Atlanta Has over 70 Channels Free and is growing everyday. All with Digital Picture and the best HD you'll ever see! Are you ready to join the Revolution of FREE TV? 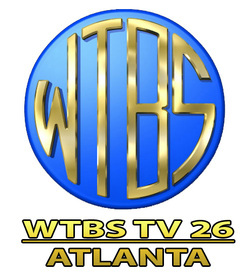 WTBS TV 26, is a free Over-the-Air TV Station in Atlanta. Offering a variety of programming on 6 sub channels. WTBS 26-TV Networks offer HD Hispanic programming, Global News, Alternative Sports (Including; MMA, Poker, Wakeboarding, Snowboarding, Surfing, Hunting, Fishing), Shopping, Family Programming, Hit music entertainment, and more.